Our light weight deflectometer with numerous innovative features will be presented during BAUMA 2019 trade fair in Munique in hall B5, booth 102. Don’t miss this opportunity to receive detailed information about our models, equipped with cable or Bluetooth® technology. All instruments come complete with GPS system, printer, USB stick (no SD card), voice navigation and software without extra charge. Our light weight deflectometer is worldwide unique, as it disposes of Bluetooth® technology controlled by APP for iPhone and Android. This enables the instrument for the dynamic load plate test completely to be controlled by smartphone, so no own measuring electronics are required anymore. The results immediately appear on the smartphone, instantaneously to be transmitted from the construction site in form of a pdf file. Affixing measuring tapes, time consuming and extremely disturbing, from now on is a thing of the past. In these times of digital construction files, this feature proves to be a valuable support. “As we sell directly to our final customers, agency fees or trader margins do not have to be taken into account. This results in an outstanding price-performance ration”, declares Frank G. Schulz, CEO of TERRATEST® Berlin. 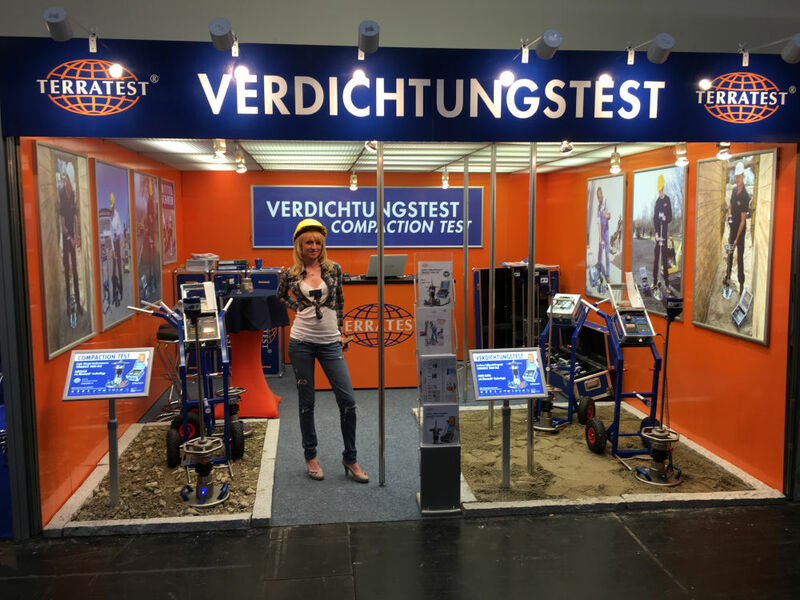 This is the fourth time in succession, that the company at an own booth presents its light weight deflectometers on this largest construction equipment trade fair worldwide.